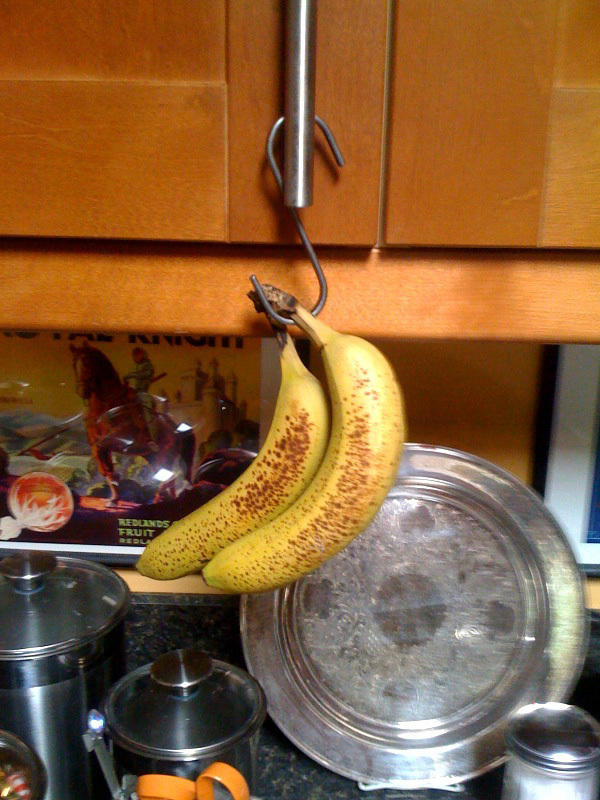 Gerry loves bananas and has always wanted one of those stands to hang them on. But it turns out that one of those itmes that when you look to buy one you can't find them. So we improvised by using this nice (and cheap) hook that we bought at Ikea.